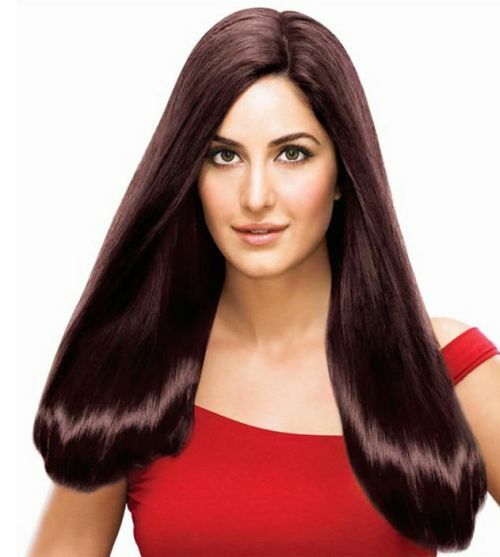 Katrina Kaif’s long, thick, dark brown hair is gorgeous and very voluminous. Her..
Katrina Kaif’s long, thick, dark brown hair is gorgeous and very voluminous. Her hair is incredibly healthy and full of shine. To keep your hair shiny and free from split ends, deep condition hair once a week and use leave-in conditioners every day to protect hair from heat and styling products. Katrina Kaif’s long black hair is styled in a straight, sleek, low ponytail. This..
Katrina Kaif’s long black hair is styled in a straight, sleek, low ponytail. This elegant hairdo is very simple and is perfect for formal occasions such as prom. Be sure to blowdry hair completely straight. You may need to use a smoothing serum while hair is wet, and use a flat iron after drying. Part hair in a deep side part and secure with an elastic band matching your hair color at the nape of the neck. For very long hair, drape the end of the ponytail over one shoulder. Katrina Kaif is a picture of hairstyle perfection in this lovely out-curled long la..
Katrina Kaif is a picture of hairstyle perfection in this lovely out-curled long layered hairstyle. Blow hair out smooth with a big round brush, then wrap large sections around a large curling wand starting at the chin level. Scrunch the ends when done for a bouncier feel. Come to think of it, a woman this beautiful can go for a buzz cut and still come out looking extra hot!